This type of box or waterproof bucket allows to store and transport of liquid or semi-liquid materials (Pasty, organic waste...). It is provided with a one-piece rear door quenched by a rubber seal. The closing of the door is ensured by a tensioner ratchet placed at the front of the subwoofer and the opening of the door safely. Two additional locks ensure the door is closed. You can decide that your door opens horizontally or vertically.
. of a guard to avoid overflows during the loading on the truck. 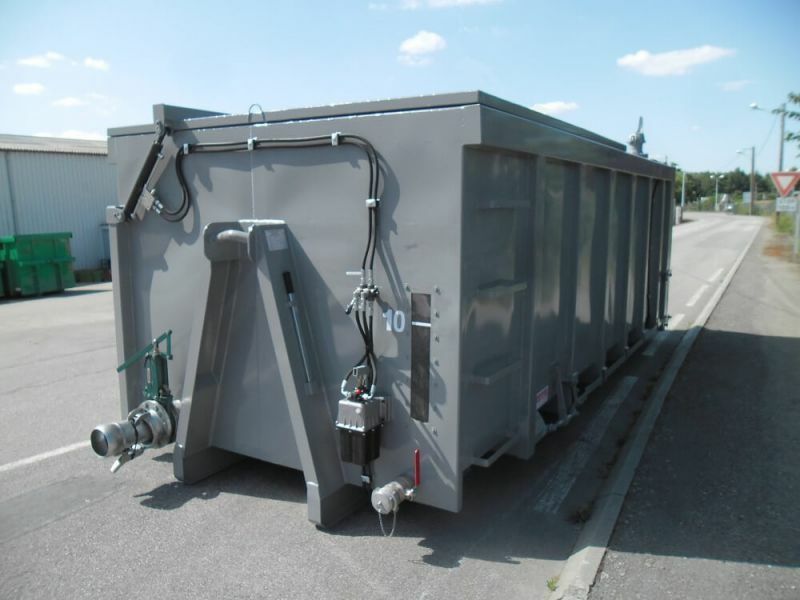 This range of boxes and bins is available in sizes ranging from 6 to 40 m³ and is suitable for transport and storage of sludge or sewage waste. These boxes and waterproof range THIEVIN' multi-lift trucks are adapted to your transport of sludge and semi-liquid products. 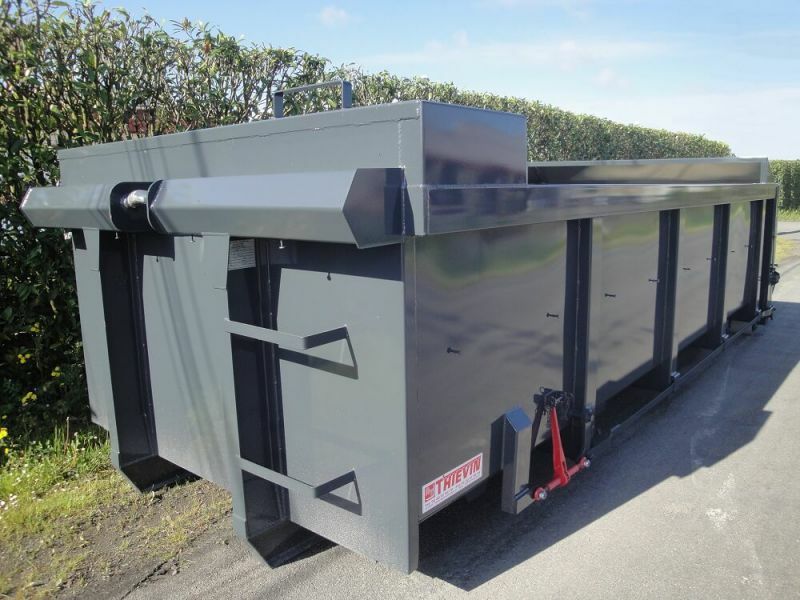 These subwoofers and watertight dumpsters, ranging from 6 to 7 m long and 1.8 to 2.5 m high, can be used in settling and for the transport of waste light soiled.